Vijay Sharma of Flipkart, Ravi Desai of Amazon, A Velumani of Thyrocare and Achint Setia of Myntra spoke at the industry conclave on Day 1. The 14th edition of Goafest kicked off on April 11 in Goa. The three-day event that rewards creative excellence in advertising was flagged off by Ashish Bhasin, president of the Advertising Agencies Association of India (AAAI). "Goa Fest got democratised over the years; it is no longer the purview of a few agencies or people from Mumbai, Delhi or Bangalore. Within India, we have so many people coming in from different cities across states and that makes a huge difference. In terms of participation, this year 400 organisations participated in Goafest either as delegates or entrants to awards," Bhasin said in his opening remarks. He also informed attendees that in 2019, 2000 delegates registered while the ABBY Awards saw 2700 entries. The 'Industry Conclave with Disruptors in the Indian Digital Ecosystem' followed. First up was Dr A Velumani - creator and managing director, Thyrocare. In his trademark fashion of delivering meaningful insights through humorous anecdotes from his life, Dr Velumani said, "English is a language. English is not knowledge." 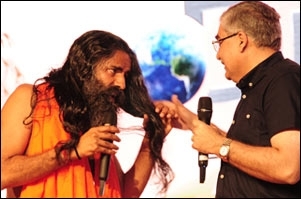 While recounting how he disrupted the pharmaceutical space, he advised young entrepreneurs through a famous Tamil saying - Tie a knot on a strand of hair and try to pull a mountain. If it doesn't work, you lose one hair. But if it does, then you have the mountain at the expense of one strand of hair! 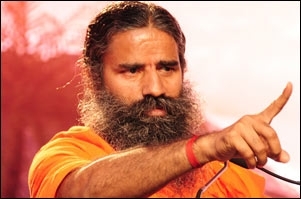 From believing that if everyone tells you 'you're an idiot', you are actually a visionary to sharing the tenets of living a frugal life even after amassing wealth, he regaled the audience with his stories. The visionary entrepreneur ended his session with some valuable insight, saying, "People think business needs money... business actually needs stamina. Mumbai is a city that doesn't let people with money make more money; it allows people with stamina to make a ton of money." He left the stage amidst a standing ovation from a room filled with the who's who of media, advertising and marketing. Following the venerable doctor was Ravi Desai - director, mass and brand marketing, Amazon, who talked about the shift in marketing trends to consumers today. He highlighted how perception used to drive usage, but today it's the other way around. Desai also stated that there is a paradigm shift in targeting - previously a pen-portrait of broad clusters was used to characterise the consumer; now, it is the process of creating specific unique customisations for individual customers. He shared his view on how customer touchpoints are old-school and how it's about product experience that maximises impact. Desai summed up by saying, "To become disruptors, one has to analyse and understand demonstrated behaviour, democratise benefits and anticipate the needs of your customer. That's the essence of customer obsession." Next up was Vijay Sharma - associate director, brand marketing and head digital media, Flipkart, who explained that for a brand to be relevant, it should not only be a brand of today but a brand for tomorrow as well. He added, "A brand is the sum of all the experience the customer has across various touchpoints. Customers are no longer buying products and services, but experiences that the brand provides." The biggest drawback of large industries, according to Sharma, is the 'Agency Apocalypse' which dilutes the customer experience for brands. Calling upon the example of Flipkart's Hagglebot, he highlighted that technology is not a deterrent, but a means to optimise customer experience. The industry conclave's final session saw Achint Setia - VP marketing, Myntra, talking about the difference between fashion and e-commerce. He shed light on Myntra's vision of being involved in a customer's life - in their journey of what to wear, when to wear it and how to wear it. "Fashion is an experiential category where the conundrum is that you always have to be authentic. The disruption point of Myntra comes from the four focus areas of aspiration curation, distinctive imagery, cutting edge technology, and inspiring experiences," he explained while wrapping up.